Only 6 Rebel 4x4 Quad Cab 6'4' Box models left in stock! The best way to learn about our Chrysler Dodge Jeep RAM & Fiat dealership in Fredericksburg is simply to visit us, though checking out website is an excellent way to get acquainted with how we do business and what vehicles we have in stock! We gladly welcome everyone who walks onto our lot whether they are searching for a new or used car, need service, or simply want to take a look around. 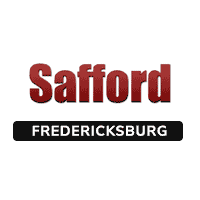 Safford Chrysler Dodge Jeep Ram of Fredericksburg	38.2556722, -77.4953806.